Tough yet supple this USA made braided nylon line offers the superior performance and durability that the most seasoned hard water angler demands. 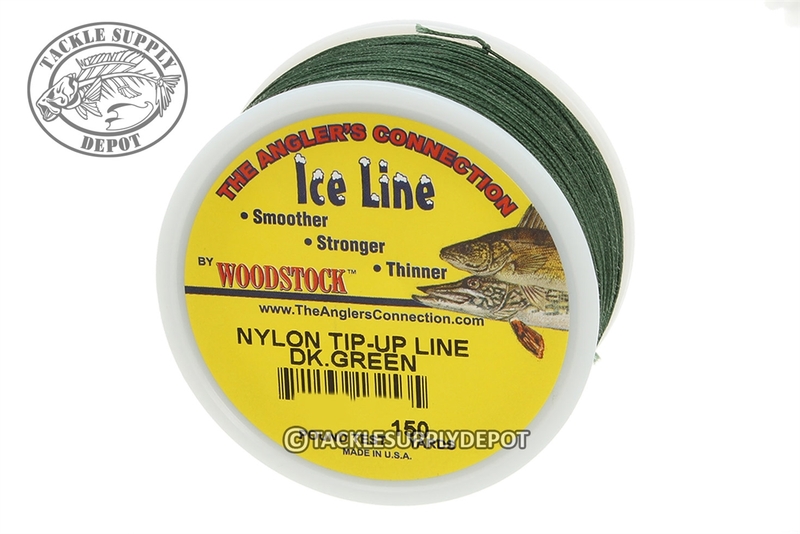 Woodstock Nylon Tip-Up Line is created by utilizing a three step heat set and waterproofing process which reduces line stretch, inhibits freeze up and overall provides very strong, manageable line. Engineered especially for ice anglers Woodstock Nylon Tip-Up Line will help pull more fish out of the holes this season.